Hotel Panna Paradise accomplished a comprehensive range of comforts, which enthralls entrepreneurs and as well as to leisure travelers. Magnanimous hospitality with whole heartedly service makes the guests feel like home. 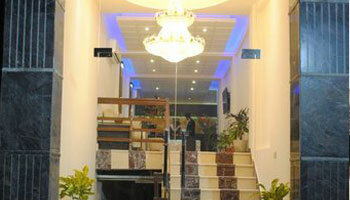 Meticulously fully furnished rooms’ offers instrumental environment with highest level of comfort. Breakfast Services, Airport Transportation, Doctor on Call, Laundry Facilities, Room Service, Travel Counter, Currency Exchange, Parking, Security Guard, Backup Generator. H/C Water, Cable/Satellite TV, Wakeup Calls, Air Conditioning Room, Toothbrush/Razor on Request, Iron/Ironing Board, House Keeping, DVD Player, Attached Bathroom.